Abbotsford’s retirement homes are for seniors who need minimal to moderate support with their daily living activities and are able to lead an independent life. Retirement homes offer an elegant environment with world-class amenities. Assisted living facilities help seniors with daily living activities like bathing, grooming and eating. Medical care is given at retirement homes only if needed or an elderly member may choose to continue to see his or her preferred medical practitioner. Luxury retirement homes are also available for seniors who wish to lead a life of luxury and comfort. Most of the luxury retirement residences in Abbotsford have swimming pools, gymnasiums, fitness facilities and walking trails. Long-term care homes or nursing homes provide support to seniors who need 24-hour care and medication. Memory care centers cater to individuals with Alzheimer’s disease or related forms of dementia. 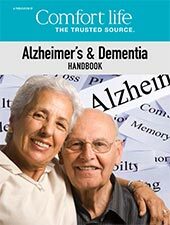 Download our free eBook Alzheimer's Disease and Dementia Handbook for more information about the causes, symptoms and treatments of dementia and Alzheimer's disease. Abbotsford offers a range of retirement homes for seniors with skilled services, facilities and amenities. Bathrooms and kitchens are designed in such a way that wheelchairs and walkers can be used easily. Retirement homes in Abbotsford are popular as communities where the elderly can enjoy their retirement days in peace and good health. A wide range of social activities and events, from movies and games to art and music are available at these cheerful senior homes. Seniors at these retirement homes can have a secure and rewarding lifestyle in a place they are proud to call home. Abbotsford is a Canadian city located in the Lower Mainland of British Columbia, adjacent to Greater Vancouver. It is the fifth largest municipality in British Columbia. Much of Abbotsford has dramatic views of Mount Baker (to the southeast) and the Coast Mountains (to the north). 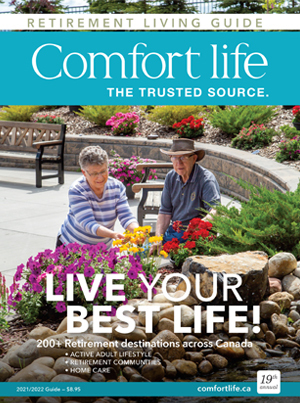 Senior care has come to the forefront of communities like Abbotsford in Canada to meet the needs of the rising number of seniors over the age of 65. There are many retirement homes in Abbotsford that offer excellent facilities and beautiful surroundings. These retirement communities help senior citizens live an independent life with the help of the professional services and well-appointed facilities. The British Columbia Seniors Living Association (BCSLA) sets operating standards for retirement homes in this area. Comfort Life is a division of Our Kids Media? ?2002-2019 • Disclaimer: Information presented on this page may be paid advertising provided by the retirement care advertisers and is not warranted or guaranteecd by công ty cá cược bóng đá www.bartgurley.com or its associated websites. • See Terms and Conditions.